Over the years, it has become the norm to simply buy new upholstery when your current fittings are starting to ‘wear out’. This would seemingly appear to make some kind of sense – upholstery isn’t always overly expensive, and upholstery is something which can accumulate blemishes, tarnishes and wear and tear fairly rapidly. Many cleaning companies don’t offer upholstery cleaning services for this reason. However, we see this failure as simple laziness, and people who feel their only option is to replace their upholstery are victims of their lethargy. This is why Oven Cleaners are challenging the idea that the only recourse for consumers is to buy totally new upholstery at regular intervals – and doing so with quite stunning results. 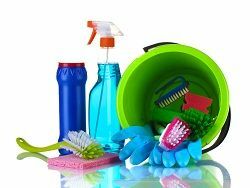 Our many years at the forefront of the professional cleaning services industry have positioned us as perhaps the best cleaning company money can hire. Over the course of cleaning travels over time, we started to encounter more and more customers who were needlessly resorting to replacing all of their upholstery at preordained junctures. This didn’t strike us as particularly economical, or particularly sensible – so we added professional upholstery cleaning to our service offering, and haven’t looked back even once! Since we instituted upholstery cleaning services, we have quickly established a reputation for ourselves as a professional cleaning company who will make upholstery look as good as the day it was bought. That’s not only our rasion d’etre, but a cast iron guarantee. If you’re in possession of some tarnished upholstery, and are considering buying all-new fittings, stop right there and drop us a line today! We are easily contactable on 020 3397 9082, and one of our friendly, expert staff will be glad to speak to you about your requirements. We don’t mind if an upholstery cleaning job is a small one, and aren’t daunted by larger, comprehensive upholstery renewal operations either. We have worked in homes and flats small and large, and offices big and tiny. The same philosophy applies to different kind of stains and blemishes – at time of writing, we still haven’t encountered an example of either that we weren’t able to correct and/or remove! We’ve worked on every type of upholstery imaginable, so irrespective of your needs, we’re supremely confident in our ability to meet them, and then some. Our guiding objective is to make your upholstery look good as new, and we’re not finished until we’ve achieved that goal.. We have saved our clientele untold thousands in upholstery bills over the years, and our voluminous base of happy, constantly returning customers testifies to our prowess. We urge you not to make the same mistake as many other people in purchasing fresh upholstery when the old starts to show its age – hire us to service your upholstery, and marvel as your budget grows! Call now on 020 3397 9082! 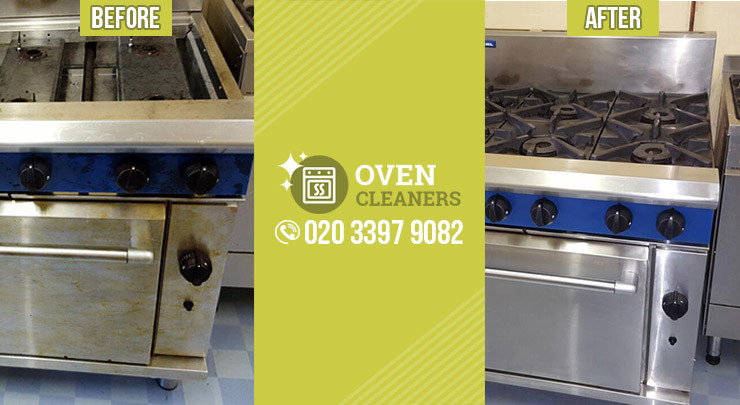 Oven Cleaners love building relationships with the people we work with. We insist that our customers conduct all their dealings with us over the phone, or in person, because a proper conversation will always be much, much more illuminating and satisfying than an online exchange via email or otherwise. Our office staff pride themselves on their customer service skills, and are always keen to speak to customers – whether returning or potential – directly. In-depth conversations give us an intimate picture of what our customers’ requirements truly are, and give our customers a clear idea of what we intend to do to make their upholstery look good as new. Phone us now on 020 3397 9082 for a free quote and start planning what you’re going to be doing with that extra cash!